​Achieving your equine goals and dreams! ​OEA is located in the heart of Marion county's horse country offering riding instruction in English and Western disciplines. If you are just starting out or want to expand your skills, we can help! We offer a great line up of lesson horses, from beginner to advanced. Schedule today for a tour and meet our instructor. Then check out our FAQ page before your first lesson. 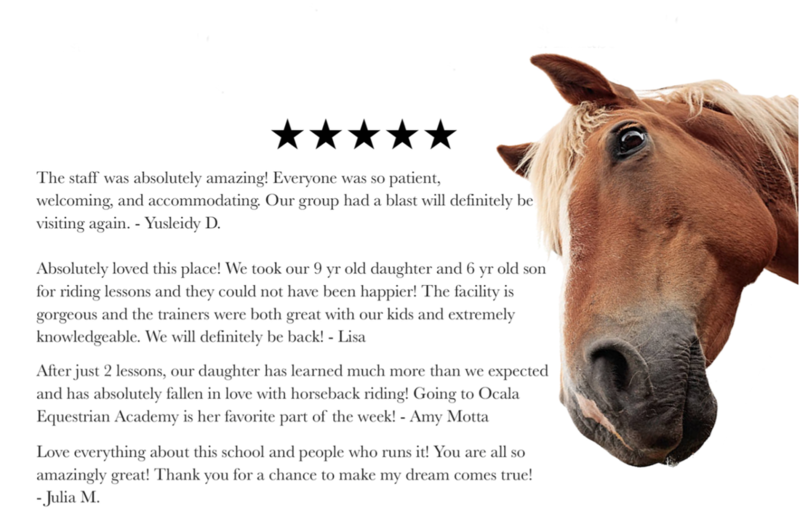 We look forward to achieving your equine goals and dreams! Enter your email to receive special offers, information, and all things OEA!